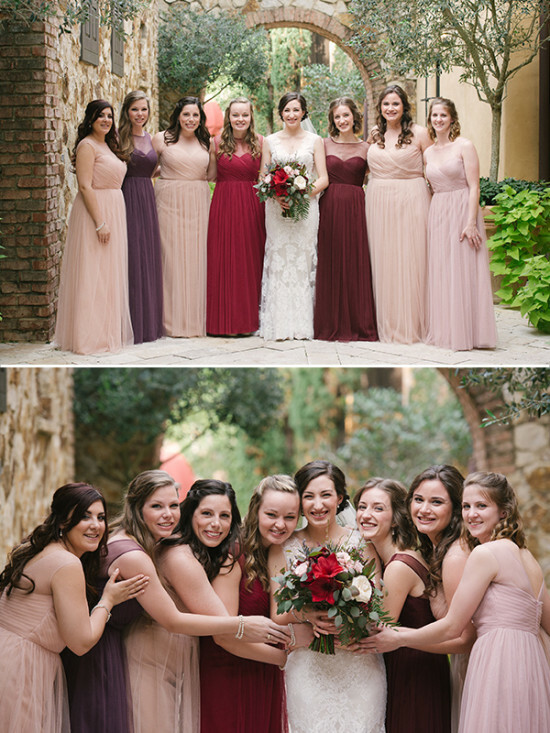 Shades of red were the colors for Casey & Phil's romantic wine themed wedding at the stunning Bella Collina in Florida. 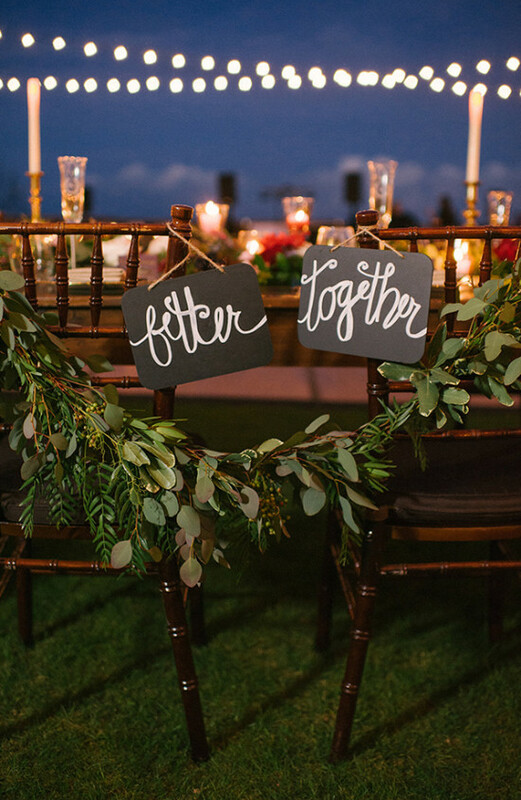 Their magical day was filled with personalized details, and their candle-lit reception is totally swoon-worthy. 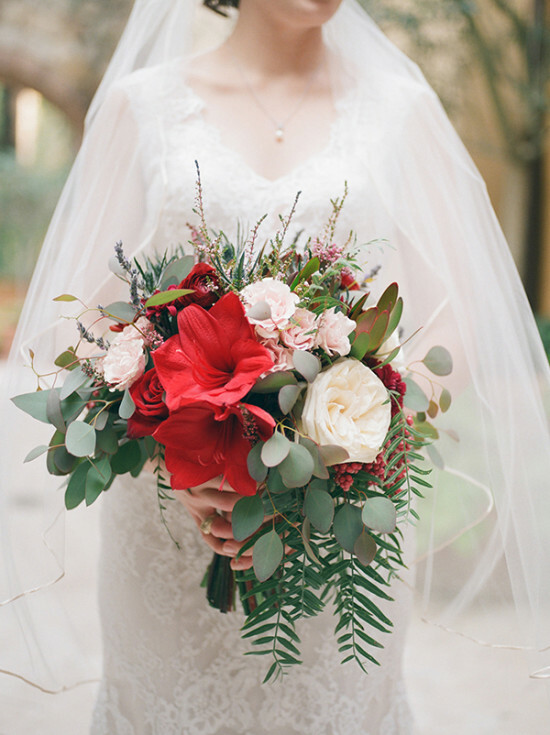 Brides get ready to pin your hearts out! 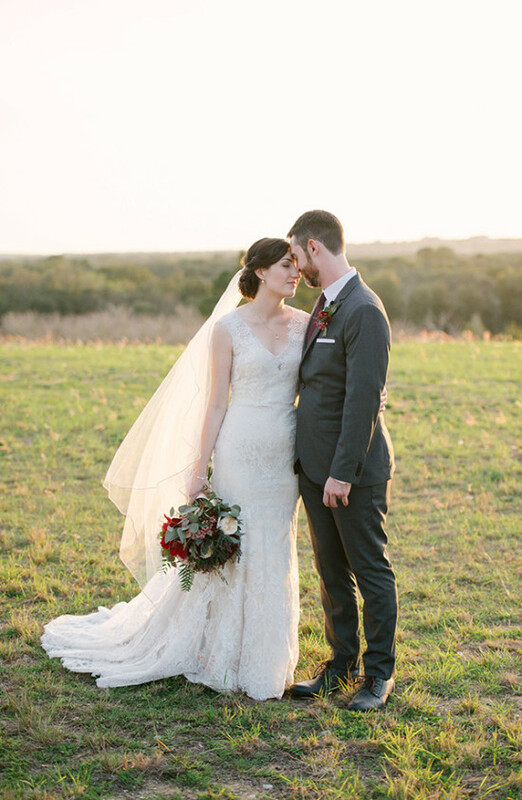 You won't want to miss a single note from this shades of red rustic wedding, and Jordan Weiland Photography took some amazing photos that we can't wait to share with you! 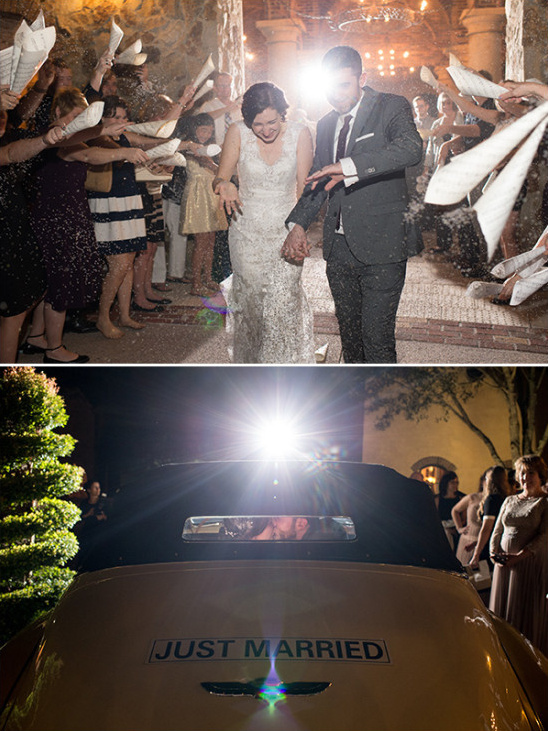 Check out the full gallery here to see their entire day unfold. 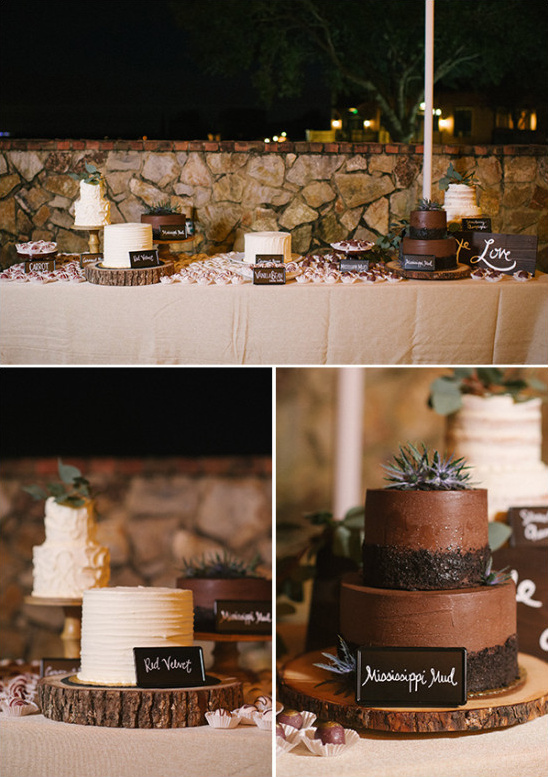 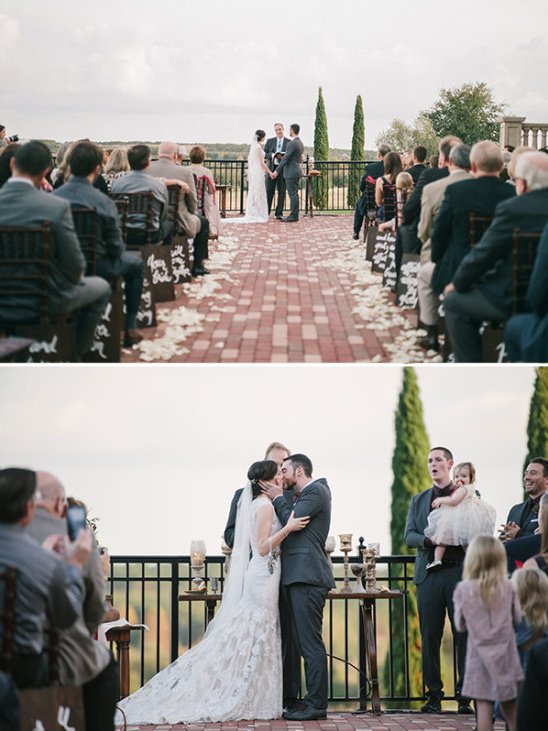 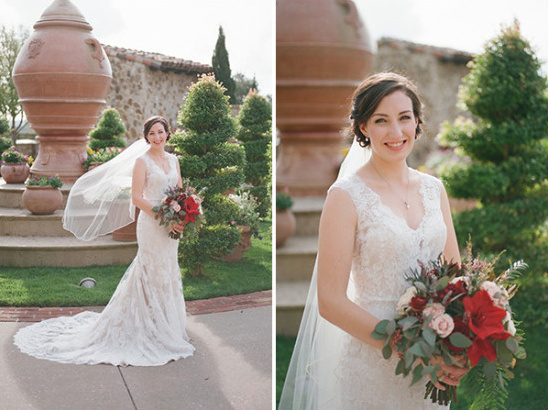 From Jordan Weiland Photography: Casey + Phil fell in love with the property of Bella Collina. 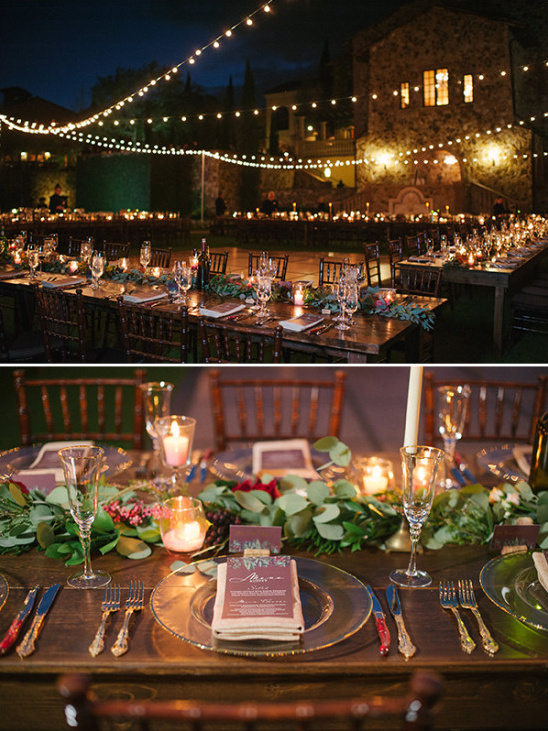 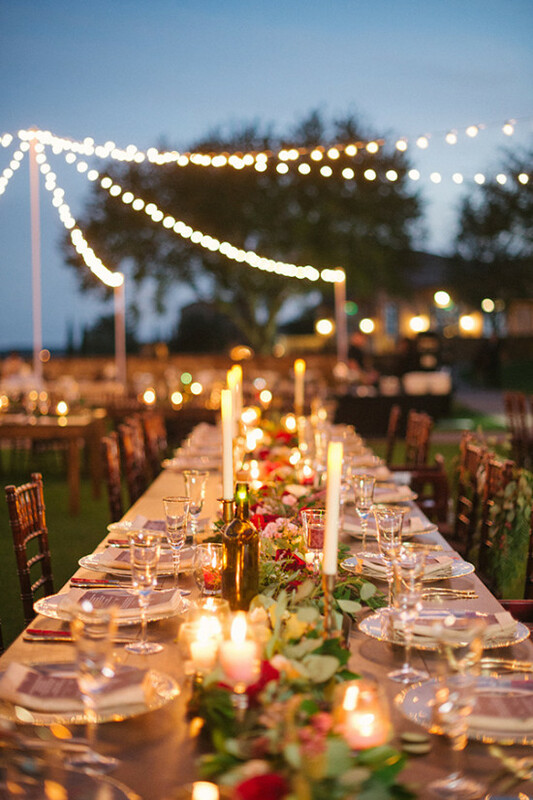 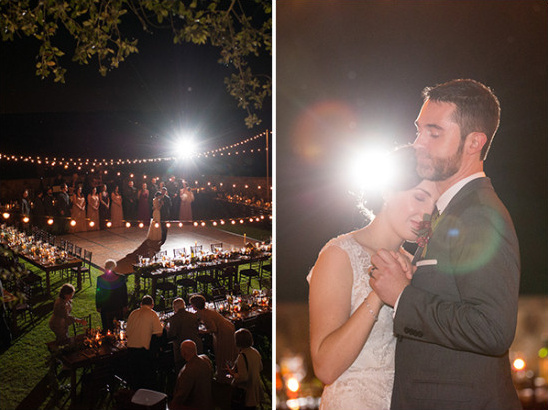 Casey had the idea of a wine themed reception with candle-light underneath the stars. 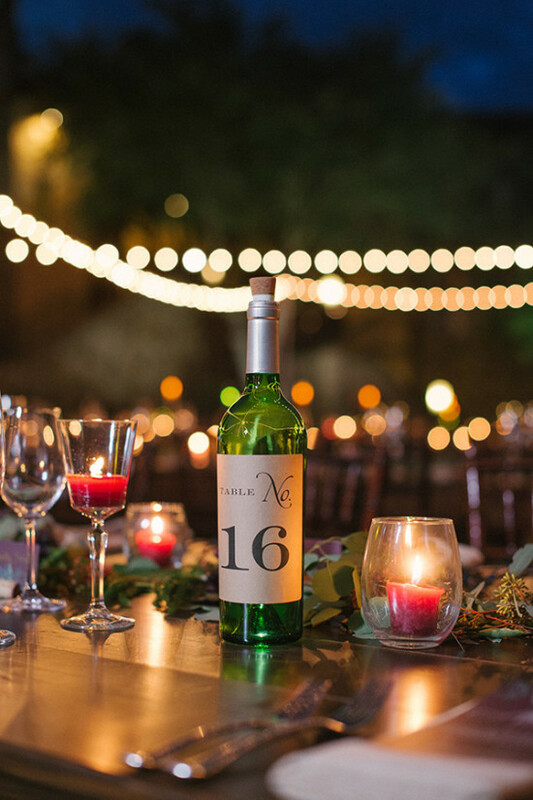 Katie from Blue Ribbon Wedding & Event Design brought her vision to life with deep reds, candles, wine bottle table numbers, farm tables and market lights. 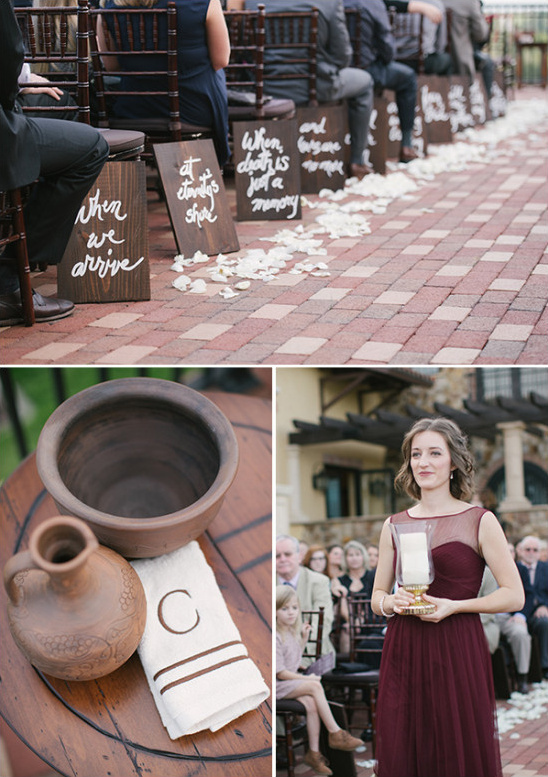 The ceremony was full of meaningful symbolism to the couple, washing each others feet and taking part of communion. 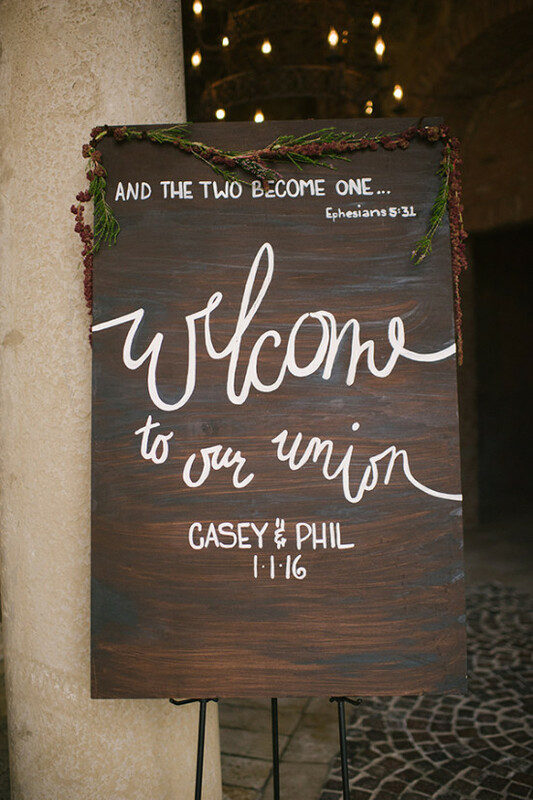 Just before the kiss, Casey's grandfather gave her a horseshoe as part of an Irish good luck tradition. 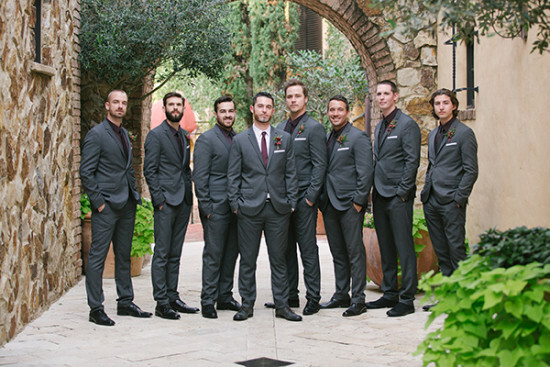 One thing that was different is that Casey was the only one with a bouquet of flowers. 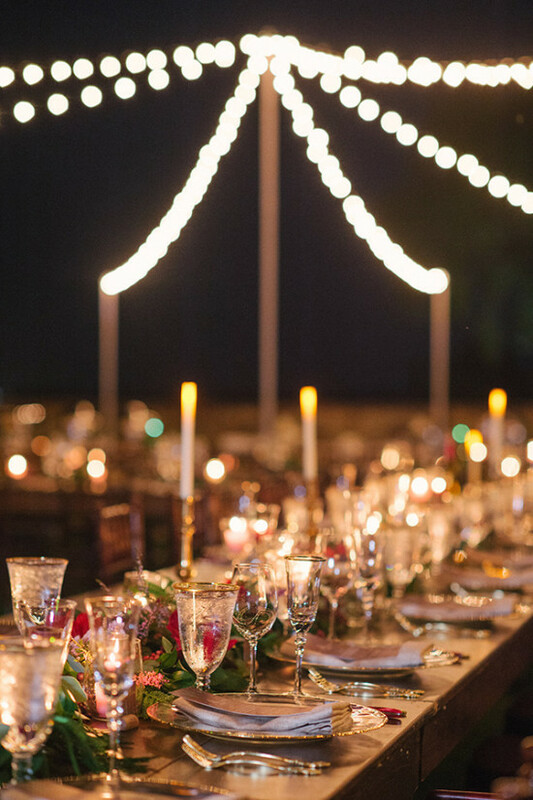 The rest of the wedding party carried candles down the aisle and set them on the table at the altar. 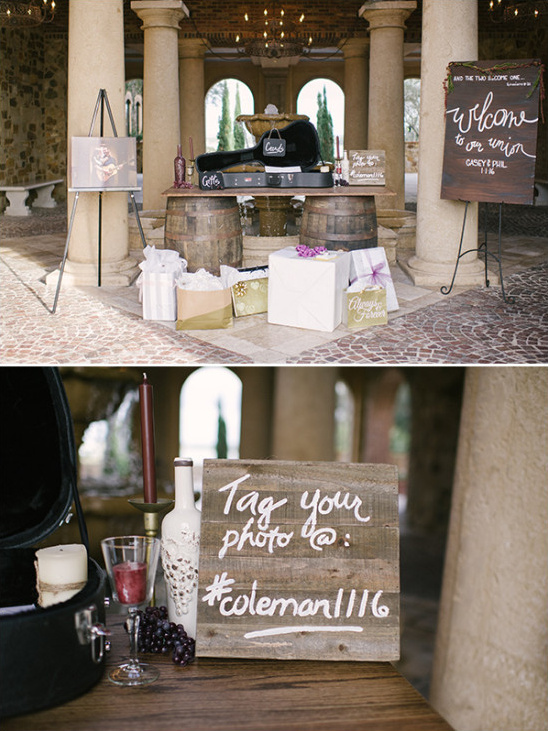 One element that was extremely important to the couple was the music throughout the day. 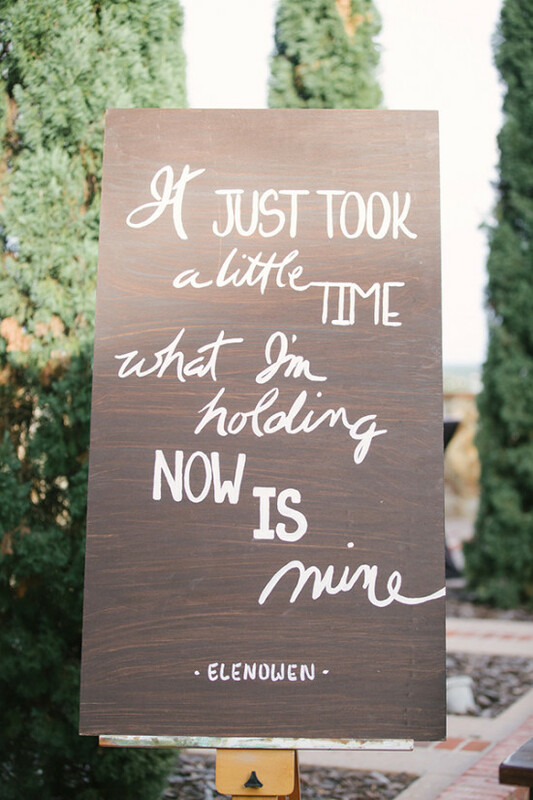 They are both musicians and they brought the duo, Elenowen from Nashville to play during the ceremony and beginning of the reception (before Our DJ Rocks kicked it into dance-party mode). 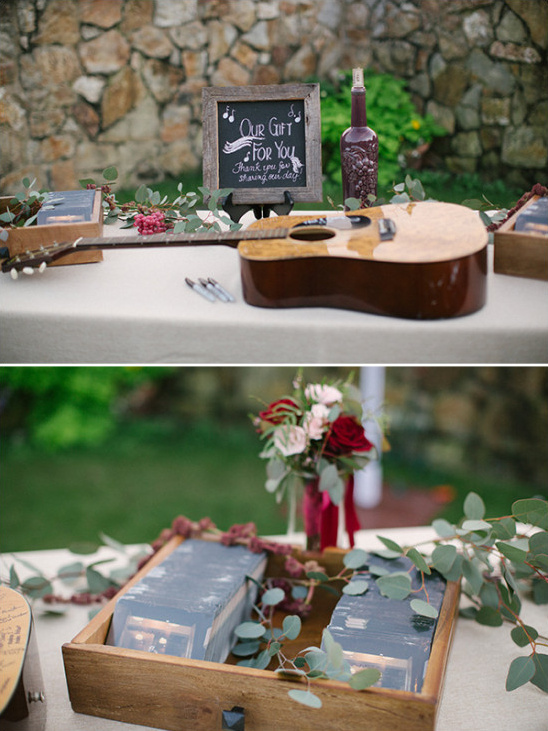 In addition, their guest book was a guitar that everyone signed and wedding favors were the couple's first EP that they had just recorded. 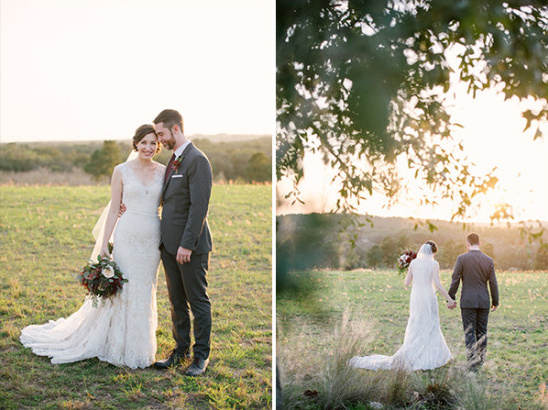 Watch their beautiful day unfold in the video below, filmed by Bright Frame Films.